It’s back to school season, so I’m giveaway two of my sketchbook sets. Those of you who know me well, or read my blog regularly, you know how much I love sketchbooks. I love to practice graphite drawing and experiment with different illustrations. Lately, most of my pages have been nature-inspired. 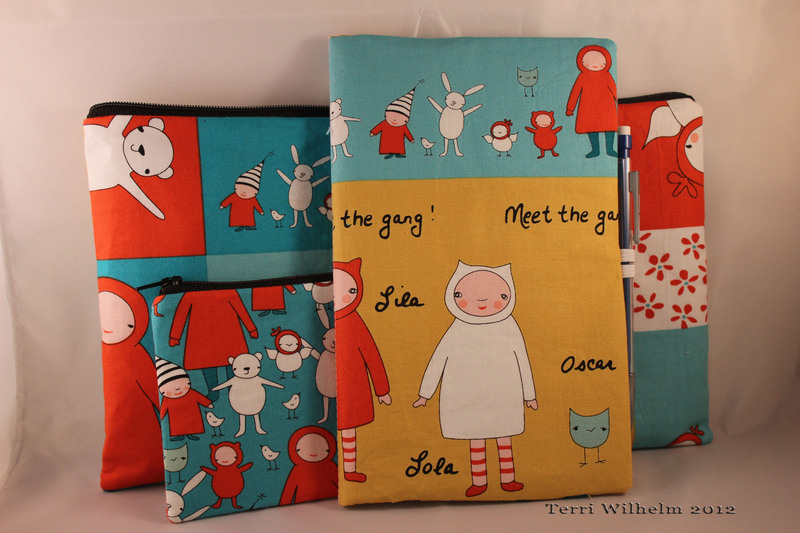 I made one set with Marisa’s Meet the Gang fabrics. Her characters are so whimsical and silly; they just make me smile. I made the other set with Lizzy House’s Castle Peeps fabrics. I love her unique twist on the fairy tale theme with her illustrations. 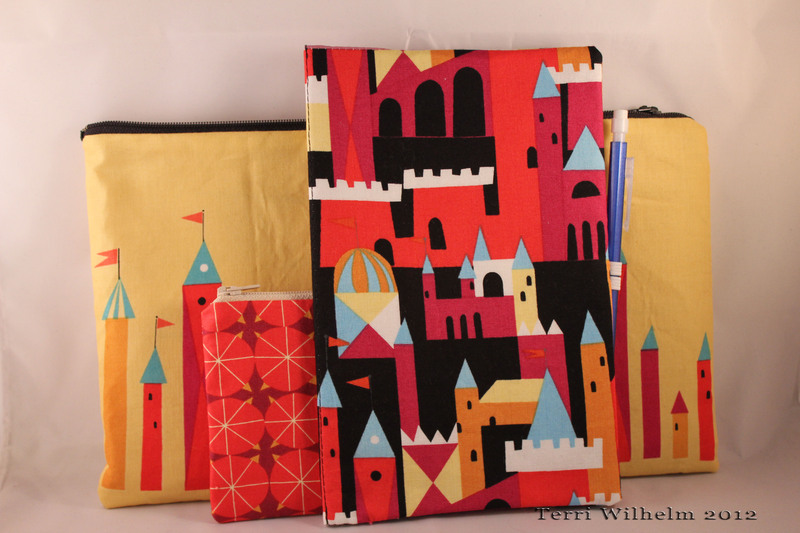 Both sets include a large zipper pouch that measures 12 inches wide by 7 inches tall, a sketchbook cover with moleskin notebook, and a smaller zipper pouch that measures 7 inches wide by 4 inches tall, big enough to fit a couples pens, pencils, erasers and other drawing or doodling tools you like to carry. 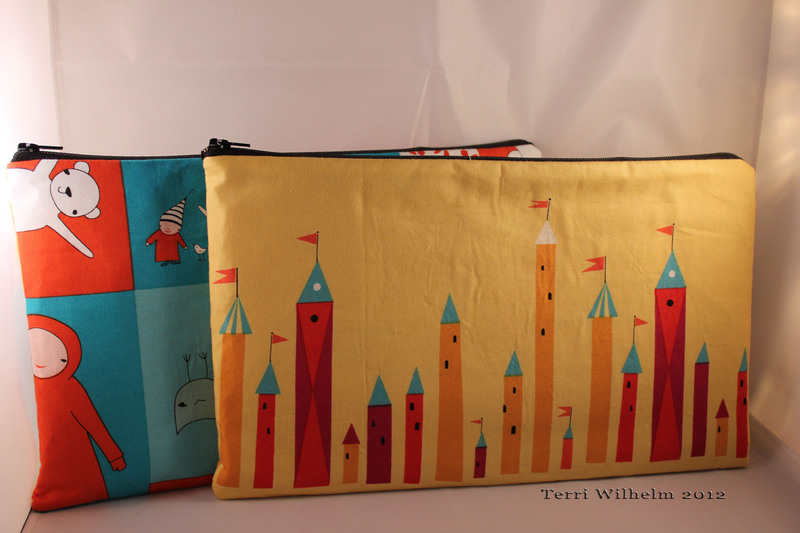 The smaller zipper pouch velcros to the back of the sketchbook cover (just like this set) to keep your drawing tools handy. 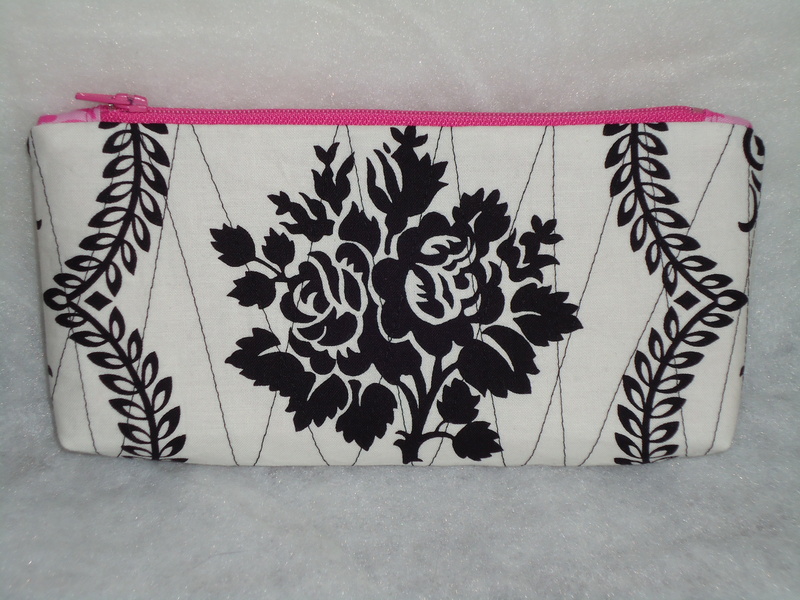 Everything fits inside the larger zipper pouch, which can also be used as a clutch. How fun is that! Leave me a comment by noon this Friday, August 24 for a chance to win one of these sets. CLOSED. 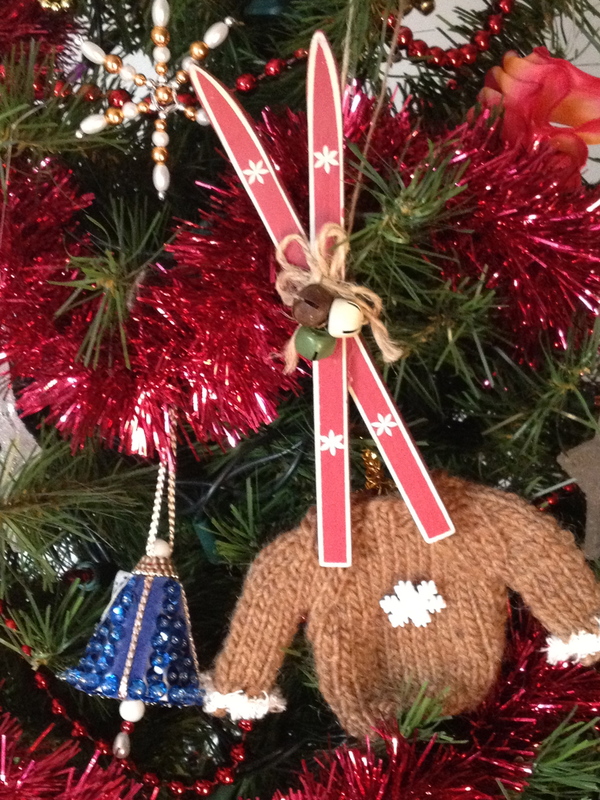 Thank you to all 201 of you for entering my December giveaway! 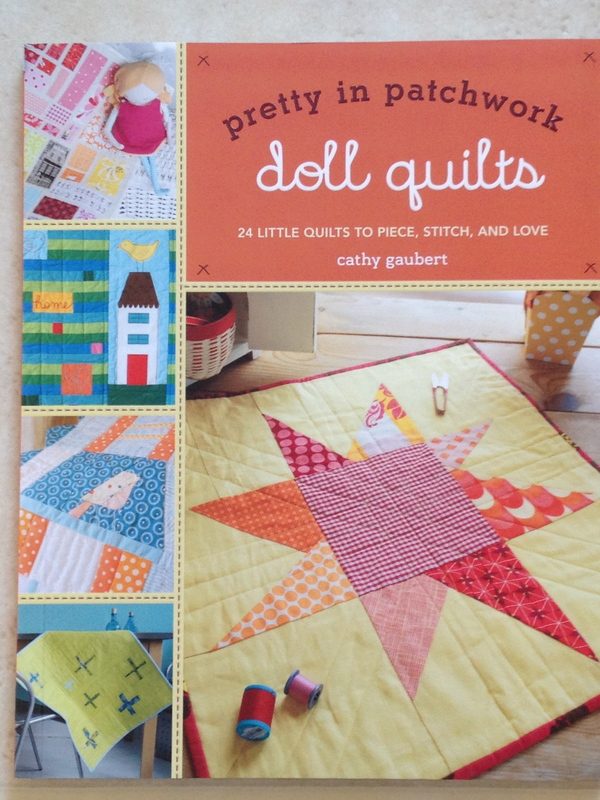 It definitely feels like Christmas to be giving someone a patchwork book and handmade mini quilt. Jenny of the blog, Cut.Sew.Iron.Repeat. 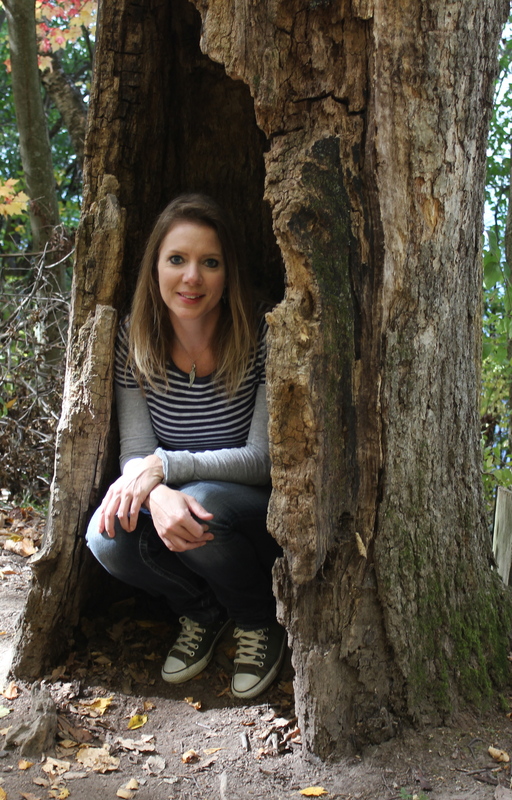 Congrats, Jenny! 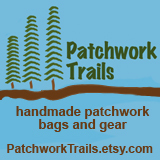 Look for an email from me to get your mailing address. Thank you again for entering. 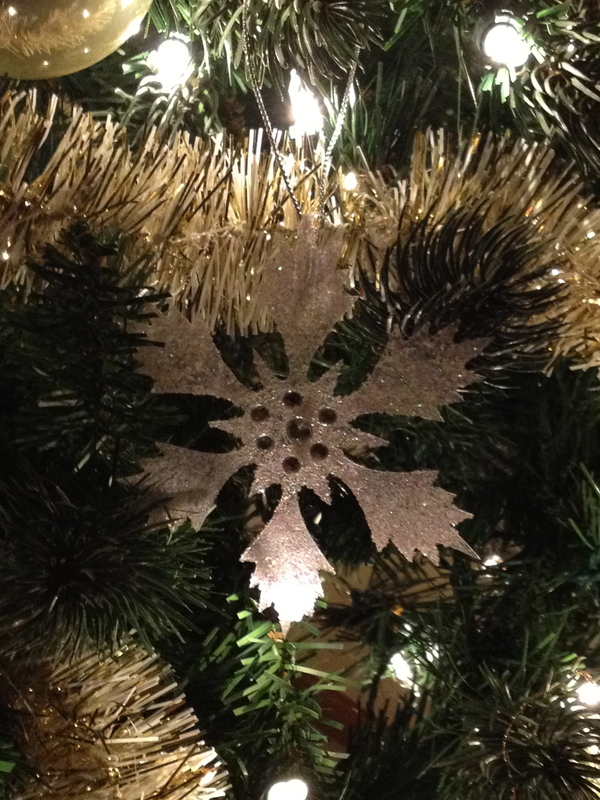 Hope all your holiday wishes come true! 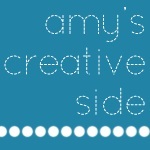 Amy at Amy’s Creative Side is having a group giveaway this week with goodies from her sponsors. 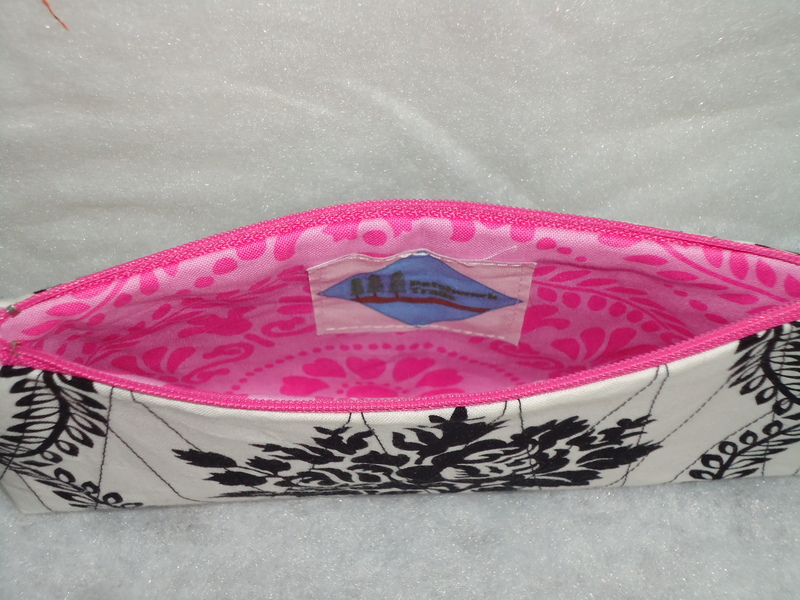 My shop advertises on Amy’s site, so I included a toile makeup bag in Amy’s giveaway bag. 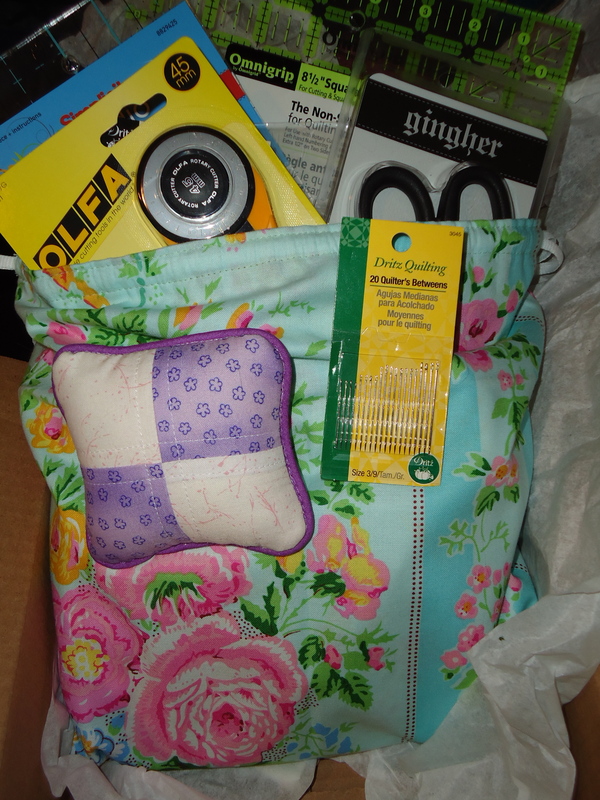 If you want a chance to win this bag or any of the patterns, fabric or kit from the rest of her sponsors, go to Amy’s post and leave her a comment. She will select a winner on Monday, February 14. 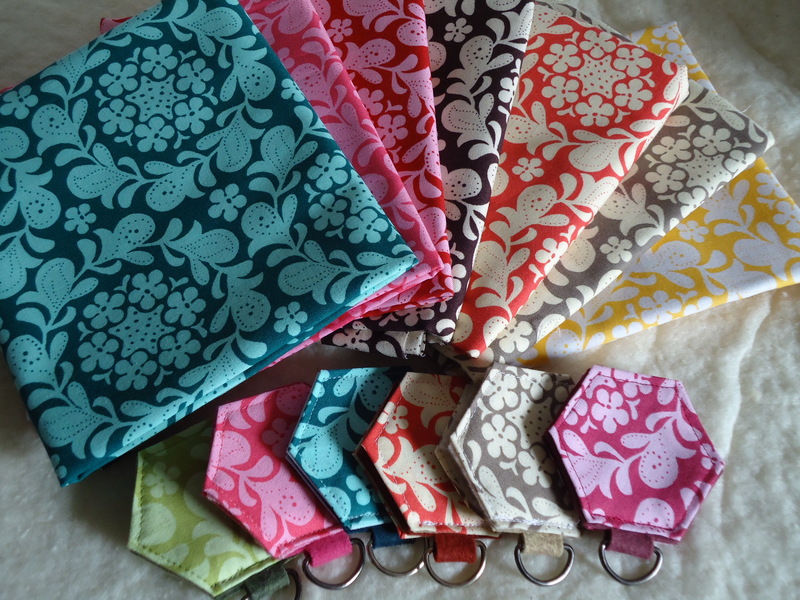 I also splurged on a few more charm square packs from fabric collections I love but have tried hard to resist. I might have a new favorite designer here. 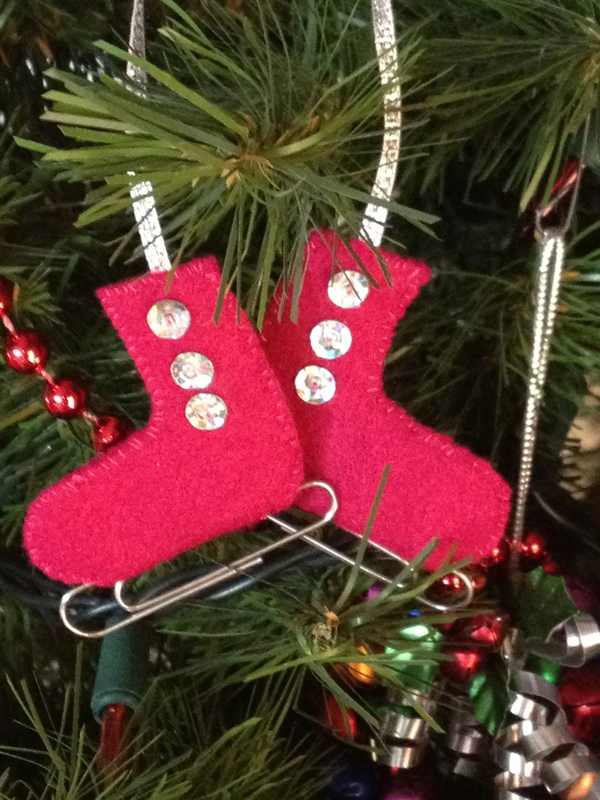 I’m hoping to use these to make Christmas gifts for friends and family. Thank you to everyone for entering my giveaway this week! 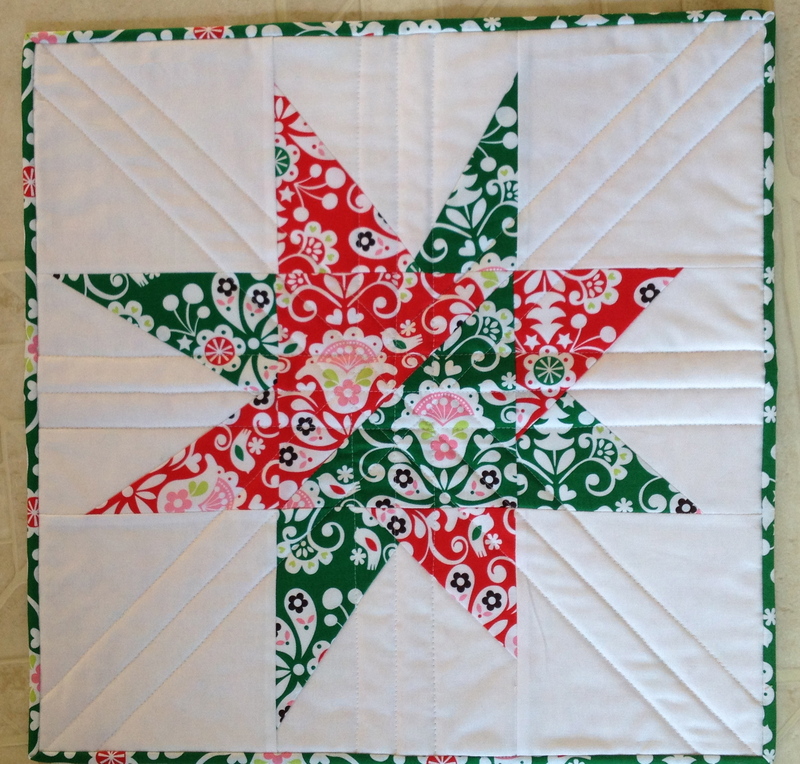 It was fun to see the variety of favorite colors in the hexagon needle books. The trusty Random Number Generator gave me number 33, who was Karen P. I have sent you an email, Karen, to let you know you won! 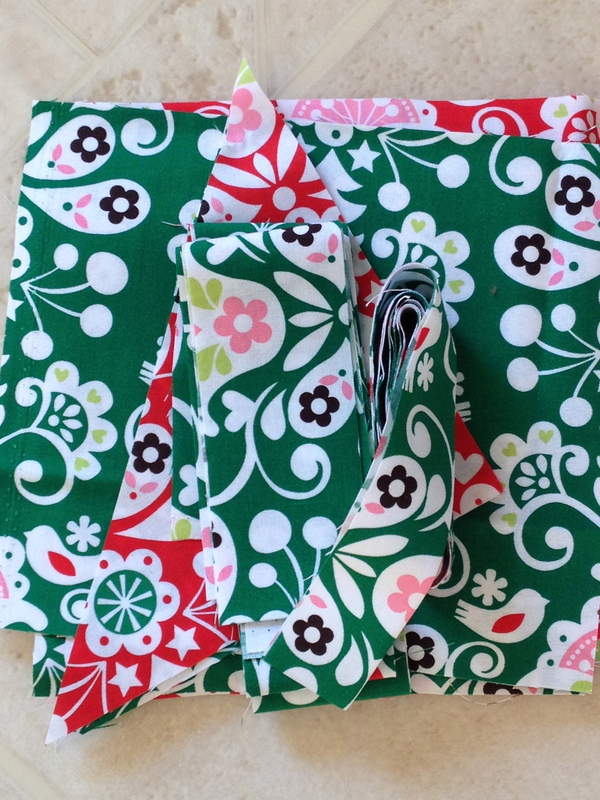 Karen liked the green needle book the best, so I will send it off to her sewing corner along with a set of fat quarters in those henna prints. Thanks again everyone for playing along! 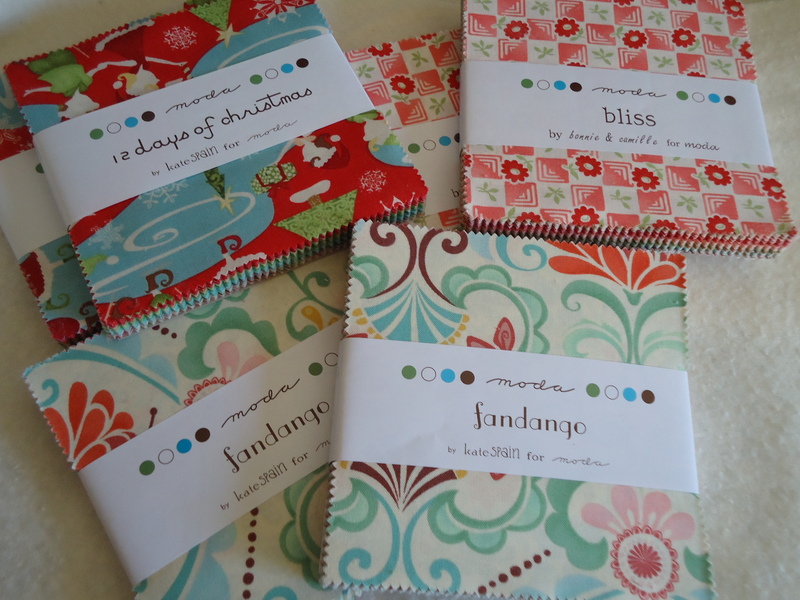 I’m am planning to sponsor another giveaway for the next Sew, Mama, Sew Giveaway Day (in December, I think). 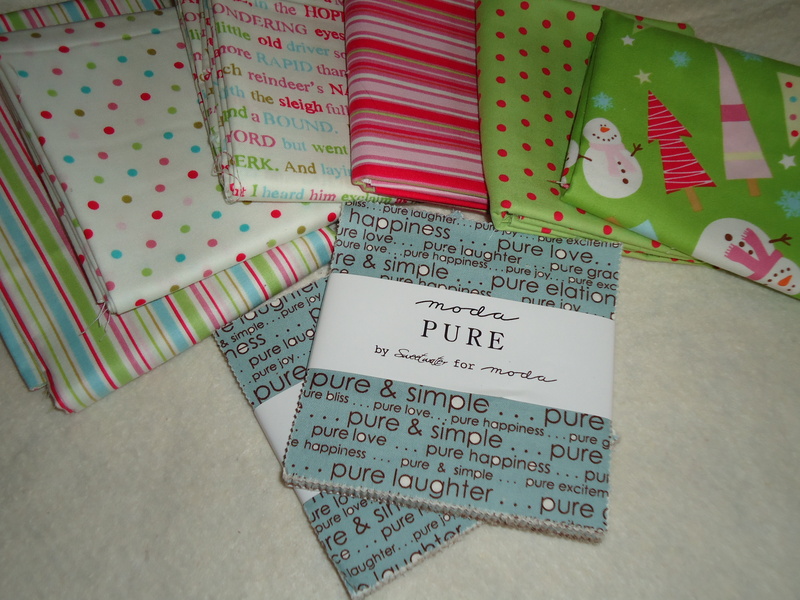 I’m so excited because I already have the goodies planned!